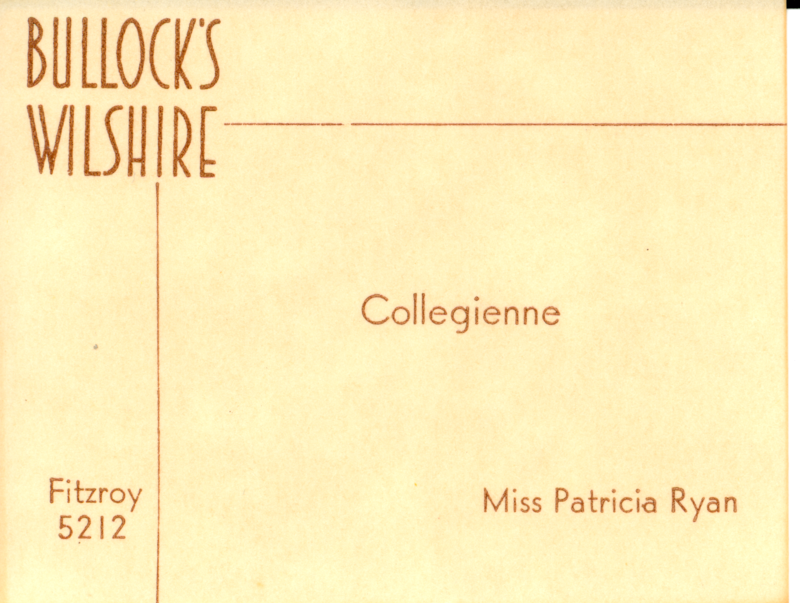 During her junior year at USC, Pat Ryan began working as an assistant buyer at Bullock’s Department Store at 3050 Wilshire Blvd. At the time she began the job in 1935, she was already taking a full load of courses as well as working almost full-time. Despite the exhausting hours, Pat was the most successful seller in the store. This was the business card distributed to customers.